In most cases, when you hear about a company using virtual reality (VR), it’s assumed it is for a game or product experience. 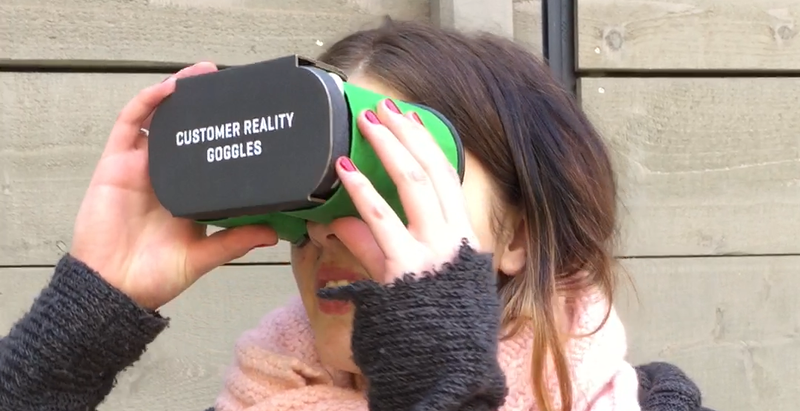 Many of the big players in Silicon Valley, Silicon Beach, Austin, Seattle and NYC have some sort of VR presence to wow customers with a larger than life experience. Now think about how this new technology can better depict company culture — something that’s historically been hard to share with prospective candidates. Demonstrating that we have a culture where engineers, designers and product managers can thrive is a huge selling point when competing for top talent among the tech greats. 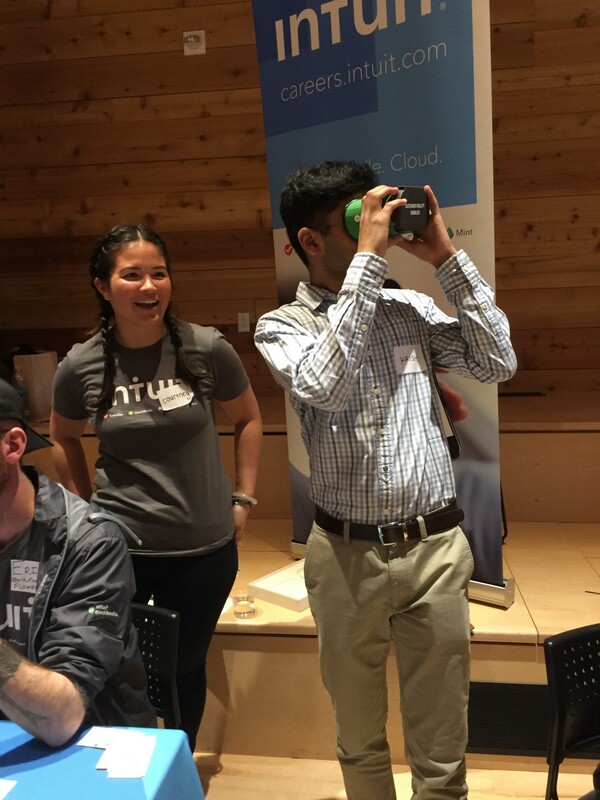 Enter VR and an opportunity for the Intuit Talent Acquisition team to pair the two and create a unique experience for an upcoming Design Career Fair at the University of Washington. With a turn around time of about 10 business days, a team of 4 employees and 1 outside vendor were able to shoot and produce an entirely new way to share Intuit culture and wow candidates. The location showcased the new Mountain View HQ — Building 20 — and cast a variety of diverse design talent within each scene. As the team raced to the finish line and prepared to present to students at University of Washington, it became crystal clear they were onto something very cool and much needed. With every Intuit leader and employee they showed the experience to, there were a lot of smiling, wide eyes and “This is so cool!” gasps. The experience was very well received by the students and drove a Net Promoter Score of what started at -60 and grew to +30 with how students saw Intuit as an innovative company to work for. The team is now working on producing a similar experience for Intuit’s Product Management function. 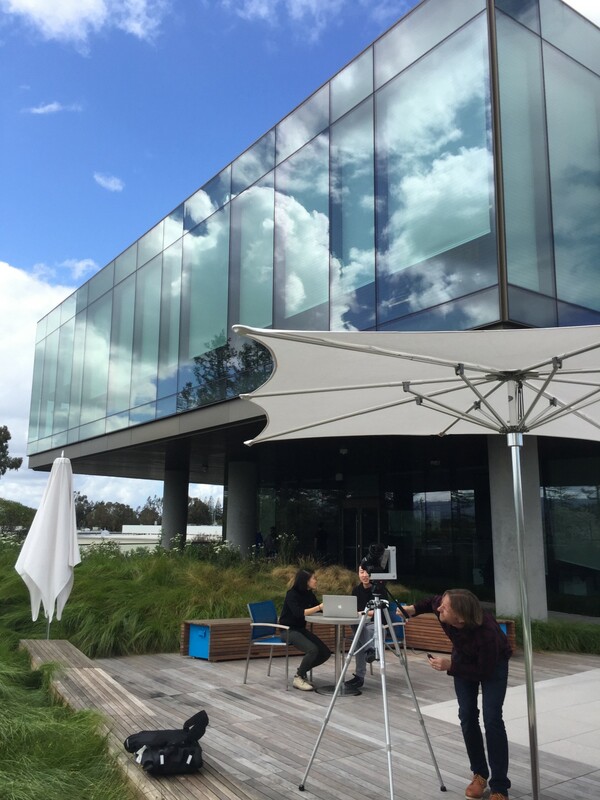 You can check out what the team made by visiting the Intuit VR tour here. Amanda Hippe is a Recruiting Strategist and has been part of Intuit for 5 years. She most recently lead the Talent Acquisition team’s development of VR for recruiting. Amanda is passionate about winning top talent, coaching recruiting teams to think differently, and evangelizing Intuit as a premier company to grow your career with.